VIRE designs and realizes packaging machines for the disposable hygiene industry (baby diapers, adult diapers, sanitary napkins) and machinery for the manufacturing of medical plasters and wound dressings. Our bedrocks are attention to the customer, to the market in which we operate, and to the society where we live in. 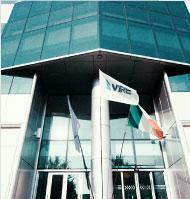 VIRE is an Italian company that operates worldwide. We are strongly projected into the future: every year we invest more than 5% of the turnover in industrial research for our and your continuous improvement. The solidity of our company is based on the constant focus on innovation, which concerns our products and our organization. 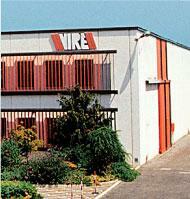 VIRE was founded in 1973 and today has more than 2.000 automatic packaging machines all over the world. 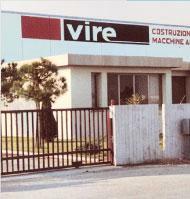 Since 2007, VIRE has been a member of the international Bucci Industries Group, which intends to develop and expand the technological solutions offered by the company in order to further increase the productivity and the competitiveness of its own customers. To install everyday a new VIRE packaging machine, improving every manufacturing plant on Earth that produces mass products. We are technology people, we aim to create the most innovative, performant and reliable machines for the packaging of your products. Care for the customer and assist them with great passion. Innovative thinking in order not to be overtaken. Facilitate the involvement of every person into their work. Always create and pursue new goals. Strive to win and be distinguished from the competitors. See opportunities in every change. Fight to reduce costs and simplify the job. We design and manufacture high-productivity machines, which are suitable for non-stop 24/7 production, solid, robust, technologically advanced and of proven durability, as confirmed by the experience of our customers. The innovation expressed by our machinery is based on concepts inspired by clarity and simplicity. The high quality of the products manufactured by our packaging systems is the direct consequence of the perfect control of the whole process. During the design of our machines, we consider every aspect concerning safety and ergonomics in an extremely careful way. Our systems are simple and user-friendly. This way, the operator perfectly controls the machine, the production process, the quality of the products and the relevant repeatability. Setting an organized management of common projects (time and quality control). Providing a clear and unique reference for exchanging information. Managing an efficient customer involvement (kick off meeting, design reviews, design approval, commissioning at our facilities, training, installation and final acceptance test). We realize high-efficiency production systems and take care of them for their entire life, continuously supporting our customers with training, international service, on-line service, and a specialized after-sales team. VIRE has the ISO 9001:2015 certification and operates in accordance with international laws in terms of quality.